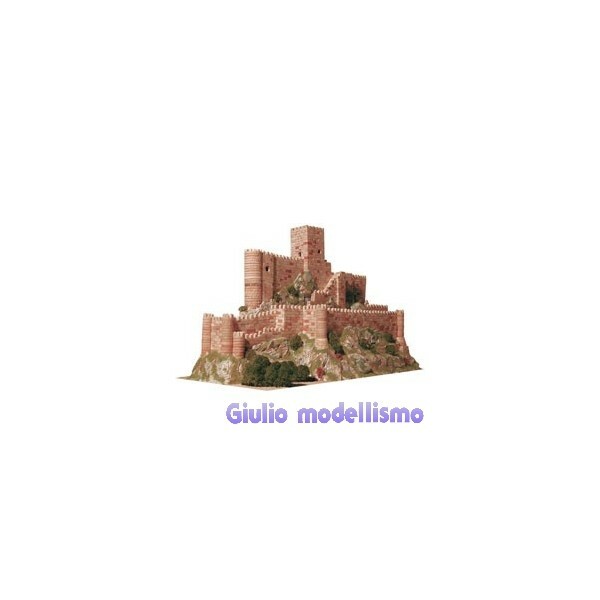 Aedes Ars è un marchio specializzato nella produzione di pezzi e Kit di montaggio per la riproduzione in scala di costruzioni rurali simboliche e monumenti storici d’elevato valore culturale. La qualità dei pezzi è data dai nostri rigorosi processi di fabbricazione nel corso dei quali si utilizzano nobili materie prime. 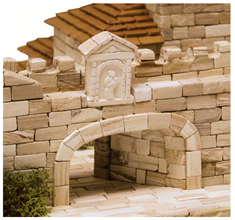 Aedes Ars building sets are used for the scale reproduction of some historical monuments with a high cultural value, such as castles, churches, bridges, andlighthouses..., some of them catalogued as World Heritage Sites, as well as miniature buildings of diverse typical country constructions. 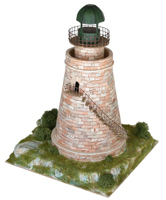 The materials used look like the original materials and the pieces' quality is based on the company's production processes. 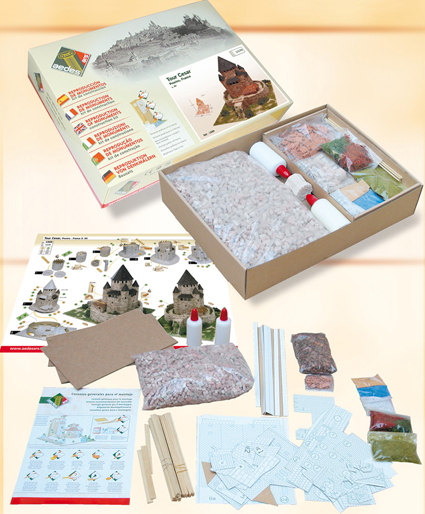 The kits are presented with all the necessary material to model the chosen Item; the specific cardboard structure that withstands the building is included, as well as all the ceramic pieces needed (mainly stones and roof tiles), the glue, a general recommendations sheet, specific instructions based on a photographic sequence and some materials for model decorations depending on the reference. 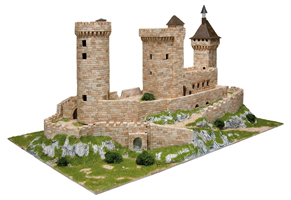 Constructions should be modelled over a wooden base and from a previously cut out and assembled numbered cardboard structure. 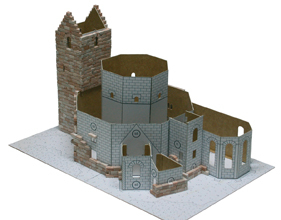 These figures are carefully assembled aided by cardboard strip angles, which make the modelling easier. 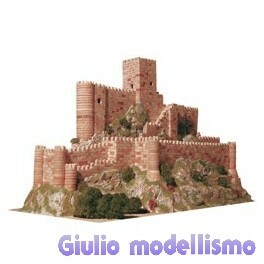 Over the cardboard structure are built the walls and the roofs. 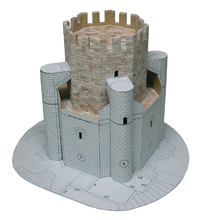 For an accurate result it is recommended to smooth down some of the different pieces with sandpaper as well as all the walls once the model is finished, achieving a more attractive and realistic result. 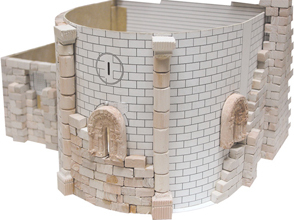 Some of the kits also include moulded ceramic pieces which simulate different parts of the original construction with a high degree of detail.